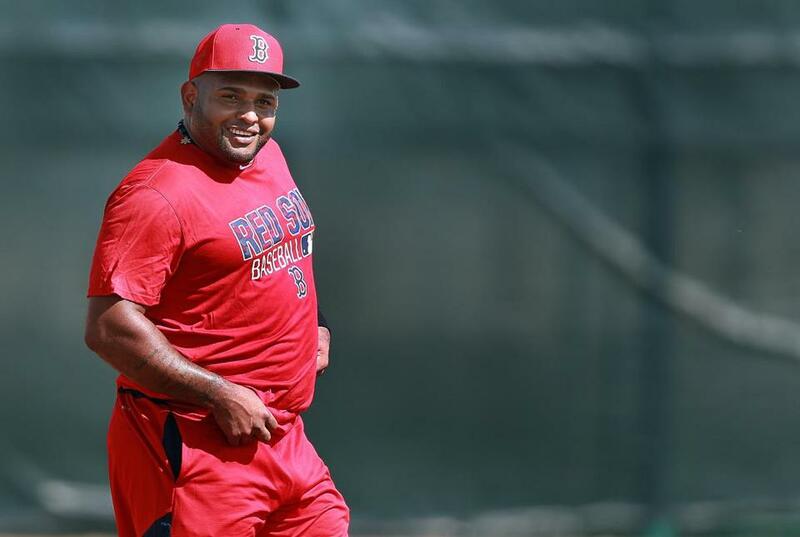 Could San Diego be a landing spot for Pablo Sandoval? Red Sox third baseman Pablo Sandoval was courted by San Diego during his free agency run. FORT MYERS, Fla. — There’s a San Diego Padres scout here taking a close look at Pablo Sandoval, post-back injury. Does the story go beyond that? The Padres were one of the teams that offered Sandoval a contract in the winter of 2014, when he was a free agent, along with Boston and San Francisco. Sandoval spurned the Padres’ offer, which was thought to be slightly larger than the Giants’ and Red Sox’, to sign with Boston. The Padres have had problems filling their third base void. The fact that they are watching Sandoval the next couple of days — he went 0 for 3 in a minor league game Monday and is scheduled to start Tuesday for the first time since going down with back stiffness — may or may not mean anything, but they’re certainly leaving all options open. The Padres have been open to trading veteran starter James Shields, who also has a big contract, in the right type of deal. The Red Sox and Orioles have been both linked to Shields, who went 13-7 with a 3.91 ERA last season and allowed a major league-high 33 homers. Shields also is working on a streak of nine straight 200-inning seasons, the longest active one now that Mark Buehrle has retired. Shields, 34, is a former Tampa Bay teammate of David Price, and the Red Sox lefthander credits Shields with mentoring him as a young pitcher. Shields, who is 127-97 lifetime with a 3.74 ERA, has about $65 million remaining on his deal, which includes a $2 million buyout on his 2019 $16 million option. The Red Sox are on the hook with the 29-year-old Sandoval for $77.4 million, which includes a $5 million buyout of his $17 million option season in 2020. The Padres would probably want a prospect in a deal for Shields since they’re trying to rebuild. Yangervis Solarte is their top-rated third baseman.